Piedmont, with its world-famous top wines Barolo and Barbaresco, is not considered as a bargain region of the wine world. 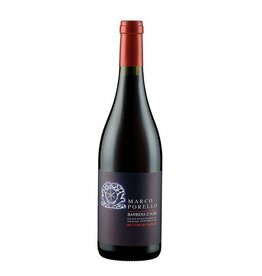 But there are also gifted winegrowers like Marco Porello, who knows how to produce great handcrafted wines, worth every penny, close to renowned DOCGs. Barbera and Nebbiolo are the red wine grapes, the Arneis delivers the dry white wine of the winery, also some Favorita and Moscato are grown by Marco Porello. The 15 hectares of vineyards are located in Vezza and Canale d'Alba, the Roero area north of the city of Alba and are blessed with old vines that give the wines depth and power, which they present quite juicy and harmonious for Piedmonte. Marco Porello is known as the "rising star" and has received the highest accolades in wine guides such as the Gambero Rosso.